Spring is in full swing, and summer is just around the corner. And that means one of my favorite fruits are coming into season: the strawberry. I love the crisp and sweet, with just a little tang, bite they have. Even the light crunch of the seeds that inevitably end up stuck between the teeth I find endearing as well. Yes, there is nothing quite like a fresh strawberry. 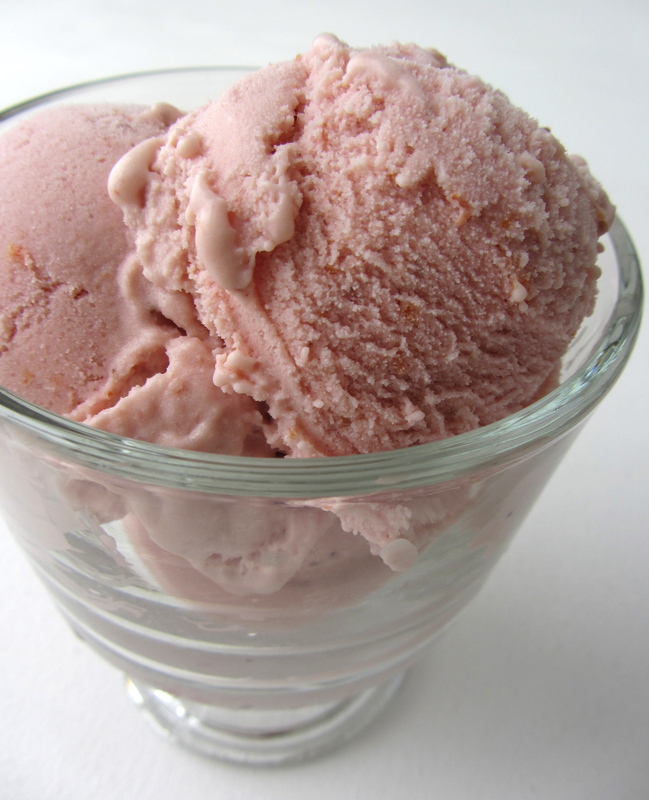 Since these berries don’t keep very long (they go from ripe to rotten pretty quick), I like to make batches (and batches) of strawberry ice cream (and sorbet) throughout the season to prolong their life, and my indulgences, in the kitchen. 1. Hull and slice the strawberries, then purée in a blender or food processor until smooth to make 1 1/2 cups of puree. Set aside. 2. In a small saucepan, whisk together the milk, sugar, eggs, corn syrup, and salt. Cook over low heat, stirring constantly, until mixture has thickened, enough to coat the back of a spoon, about 5-7 minutes. 3. Pass the egg mixture through a fine mesh strainer into a large bowl. Stir in the strawberry purée, heavy cream and vanilla extract. 4. Cover and refrigerate mixture until chilled, then freeze in an ice-cream maker according to the manufacturer’s directions. 5. Wasn’t that easy? No go eat! * For the freshest flavor, use the ripest berries possible. * Frozen berries work too, just thaw and drain any excess liquid before puréeing. * The addition of corn syrup helps to keep the strawberries from crystallizing.